In the very beginning, we could only print our pictures on paper. Then we could get our pictures printed on our favorite bedsheet, pillow cover, cushion cover, mug, plate, t-shirt, clock and so on. Then came pictures on birthday cakes. And now you can get yourselves printed on your coffee!! Yes, you read that right. Not the cup but the coffee in that cup! Technology cannot help you to download food from Google, though it can definitely help you to drink your own self! 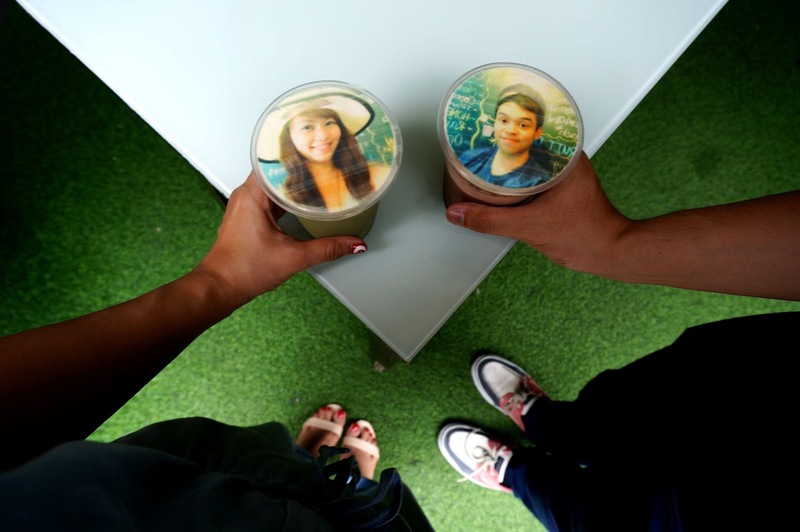 Introduced in countries like Singapore, Malaysia, Taiwan, New Zealand and now in India, this selfie coffee is nothing but your picture printed on the milk foam of your cup of Joe. You do not have to work hard to get your selfie on your coffee. Just click a selfie with or without a pout. Give it to the employees. They will upload it on their laptop. Then they will print it via a special latte art printer on your coffee foam. The entire printing process requires less than 10 seconds! And not just that, the quality of the print is amazingly good. For those who are conscious about their health, do not fret. Nothing harmful is used for printing. The mechanism is similar to the one used for printing photos on personalized cakes. Fine coffee bean particles and colored vegetable oils are used for the picture. In India, this selfie coffee is available at #Selfieccino in Mumbai. This restaurant is so far the only one in India that serves this kind of coffee. It seems we love getting personalized all those things that we own. I guess we will soon be able to print our picture on the face of our pet cat or dog. Also, I secretly hope that someone is working hard for that downloading food concept. Anyway, go grab that selfie stick, head to Mumbai and gulp yourself down. And do not forget to click a selfie with your selfie in your cup of coffee! Read Also – Is Decaf Coffee Harmful To The Ozone Layer?